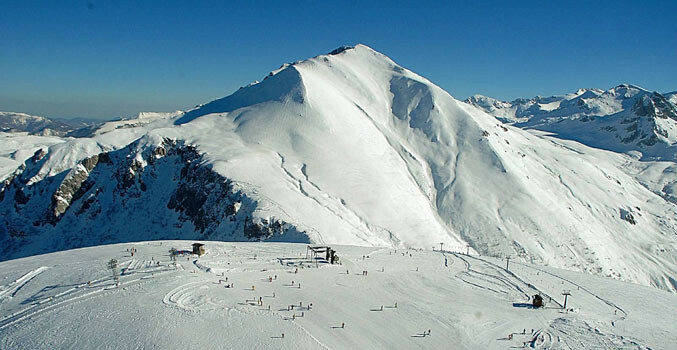 Pratonevoso (Cuneo, Italy) is one of Piedmont's most advanced ski resorts. The ski area stretches from the village at 1500m and up to 2300m on the Mondolè Mountain. The terrain ranges from gentle nursery slopes to challenging, well mantained slopes, and you can be sure to find the ideal terrain for your level of skiing. Mondolè Ski is the great "domaine skiable" of Pratonevoso and Artesina. There are around 100 km slopes (drop: 800m, downtown: 1500m), 5 ski schools, a total of more than 170 trainers, a snowpark with half-pipe and border cross, and flood-lights covering two slopes served by a 4-seat chairlift. Pratolandia is the fun park: 10.000 square meters dedicated to the children. New Ryanair routes for skiers this winter with twice-weekly flights from London Standsted to Grenoble, Lourdes, and Cueno.